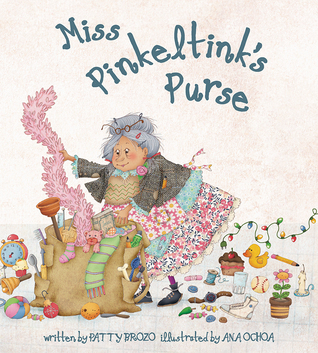 Everyone in town seems to know Miss Pinkeltink and her bulging purse. She takes it everywhere and it is so big, it tends to knock over people or things and even smashes things. People were irritated with Miss Pinkeltink and her huge purse. Even though Miss Pinkeltink knew it was cumbersome, it held everything that she owned, because Miss Pinkeltink was homeless. Even though people didn’t like her purse, they liked Miss Pinkeltink, even more so when she took some tape out of her purse to help Zoey with her bike or gave Phoebe the cat a bone, and Zach a plunger to fix his car. Not all of her gifts were exactly what was needed, but she gave them with her whole heart. Then she spent her nights sleeping under a tree in the park. Zoey decided to get all her friends and community together to give Miss Pinkeltink a surprise. Miss Pinkeltink is an elderly lady that has likely seen several generations grow up in her community. You can tell from Ana Ochoa’s illustrations that Miss Pinkeltink loves to sit in the park and watch the children play. When the community comes together to surprise Miss Pinkeltink, all the expressions on the faces share pure joy, even the dog and birds look happy. I love all the details and individuality she gives to each member of the community. Homelessness is something that is difficult for kids to understand. In our small town/rural area, homelessness is different. People tend to move from community to community or sleep on couches and floors. In bigger cities, the homeless are much more visible. Children may see people sleeping in the park, carrying bags or pushing carts and ask questions. This book offers an opportunity to have a conversation about the homeless. The end of the book shares organizations started by children that help the homeless and how you can help the homeless in your community. The quote, “Nobody is too small to do something big!” featured at the end of the book is a great way to remind all of us to get involved to help those less fortunate than us. This book offers an example of how we can make a difference in someone’s life by sharing our time, talents, and gifts. MISS PINKELTINK’S PURSE was a Notable Social Studies Trade Book for Young People 2019. Patty Brozo has been writing stories for and about children since taking creative writing classes in college. This is her first published work. 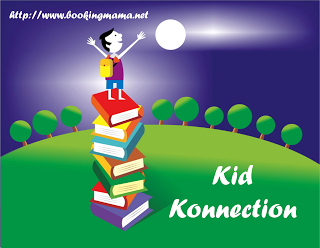 Her second book, THE BUDDY BENCH will be published in August 2019. Ana Ochoa lives in Mexico and learned the art of children’s book illustration from M. Claude Lapointe at L’Ecole Superieure des Arts Decoratifs in France. Her work has been exhibited in Japan, Taiwan, New Delhi, Bratislava, Brazil, Columbia, and Mexico.